Out of the hundred of fantastic tools available in Adobe Photoshop, there are a handful that are purely artistic; and while these may not make the cut for a professional’s gallery, they can be an exciting addition to your photo editing repertoire. Using certain filters and actions can make your photos look interestingly vintage in just one sweep of the brush. 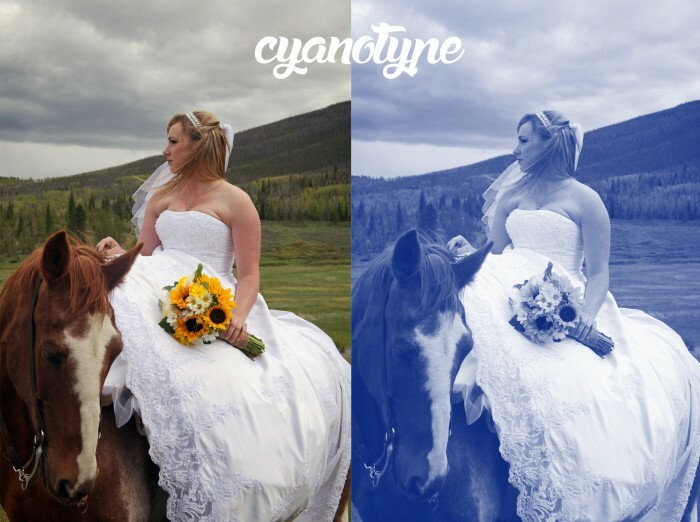 Whether you want to mimic the gorgeous characteristic blues of a cyanotype, or harness the faded yellows of an antique print, the Smart Brush tool can help you out. You can find your Smart Brush tool in the side toolbar, along with the other photographic tools like the spot healing brush, clone stamp, and red eye removal. Then you’ll notice on your bottom bar, a menu of presets will become available (including all purpose, artistic, portrait, and nature, to name a few) from a selection bar. For today, we’ll be working from the “photographic” preset menu, and we’ll be exploring a few different photo processing techniques that have remained popular through the decades. First, I’ll open a sample photo that has already received the basic editing adjustments for color, lighting, contrast, and tone. 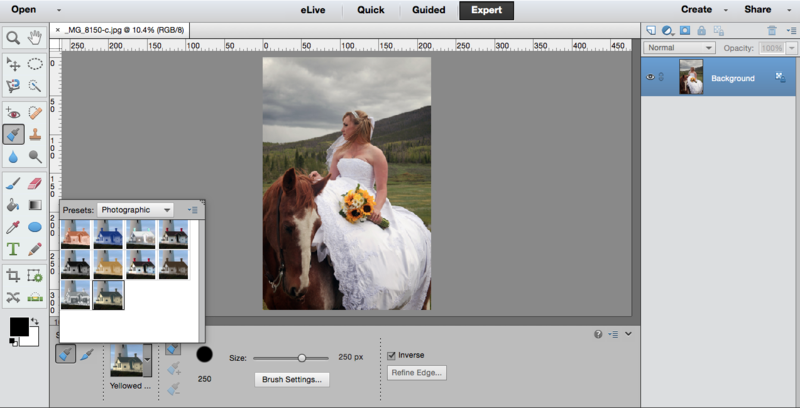 From there, I’ll make sure the Smart Brush is selected in my side toolbar, and my preset menu is set on “photographic”. I’d like to then start with my personal favorite, the tin type process! 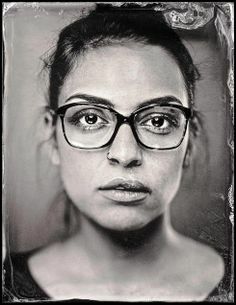 The tin type was first made popular in the late 1800’s, and it used a direct transfer of the image onto a thin piece of metal coated with a colloidal silver or gelatin emulsion. It produced soft, warm tones of browns and grays, and is still a beautiful look for modern photos. But nowadays, no toxic chemicals are needed- just the tin type preset for the smart brush! As you can see, the lovely brownish tones create both a timeless and romantic look, great for things like portraits, landscapes, or even architecture! The unique shades and tones of this type of process pair especially well with architecture, botany, and other scientifically-leaning pursuits. Lastly, for anyone who has enjoyed sifting through a box of old photographs in their parent’s attic, the “yellowed” process is a fun and nostalgic twist on a modern digital image. Most prints made these days do not yellow over time, as they are typically made from cotton fiber papers: the cellulose-based paper of decades ago contained a compound that would react with the air and light, creating an acidic substance as it degraded. This would yellow the image over time, which some people still find desirable and charming. Just at a glance, it brings to mind the old yet timeless photos that you might stumble across in a long-forgotten basement box. 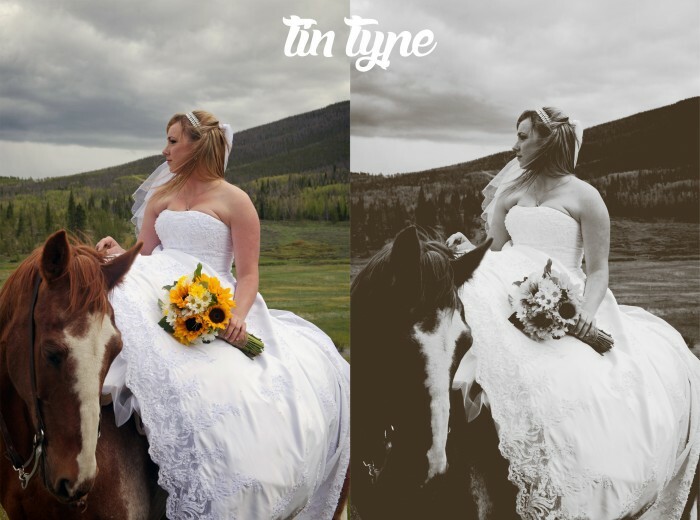 The yellowed photo is always a nice and easy editing process to have on hand! So, as you can see, the Smart Brush has much more fun in store than people ever imagine- far from simply whitening teeth or brightening eyes! Give these three filter types a try and see what you think, then play around with some of the other great preset options available to you. Until next time, when we delve even deeper into the Smart Brush, that is! If you want to learn how to take even better photos to play with, consider signing up for one of our Digital Photography classes! Fill out the form below to request more information about Fun With Photoshop Smart Brush: Vintage Processing or to request information on customized individual or group training sessions.